Gregor Bühler is the deputy head of Homburger’s IP and IT team. He is also co-head of the litigation and arbitration team. He has extensive experience representing clients in trademarks, copyrights, unfair competition, privacy and technology-related litigation. Moreover, he often acts in arbitration proceedings as both party counsel and arbitrator. In the area of trademark and unfair competition law, he advises a large number of clients in the car, retail, e-commerce and leisure industries in both contentious and transactional matters. Dr Bühler graduated from the University of St Gallen (lic iur) in 1990, where he later obtained an iuris doctor for his thesis on trademark licensing in 1995. From 1994 to 1995 he was a research assistant at the Max-Planck Institute for Intellectual Property in Munich. Dr Bühler received an LLM from Georgetown University, Washington DC in 1997. In 2003 he became partner at Homburger. Dr Bühler regularly speaks at IP and IT seminars and frequently publishes articles on IP, e-commerce and litigation-related issues. 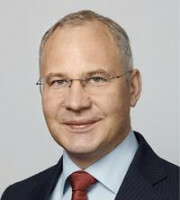 He is co-editor of the most cited commentary on Swiss trademark law, Stämpflis Handkommentar zum Markenschutzgesetz. Dr Bühler is a member of the Swiss Institute for Intellectual Property Rights, INTA, the International Association for the Protection of Intellectual Property, the Swiss Arbitration Association, the Licensing Executes Society and the Zurich and Swiss Bar Associations. He also serves as senior vice chair of the IP and Entertainment Law Committee of the International Bar Association.